Up-cycled and restored steel bench, with the addition of wheels and pale grey steel drawers. 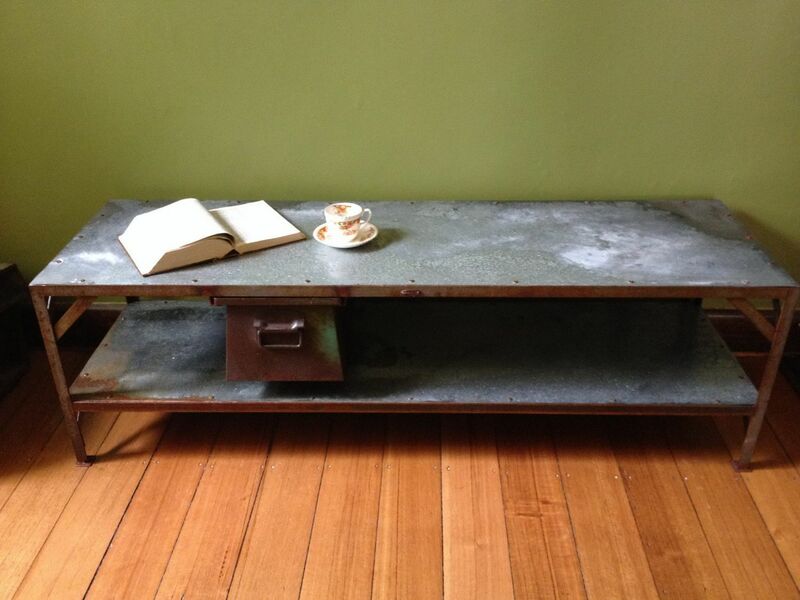 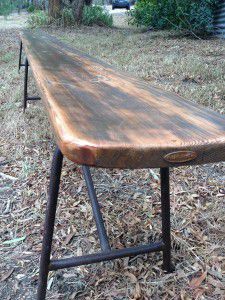 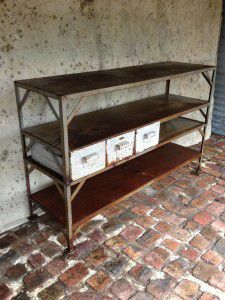 Industrial steel table with feature drawer. 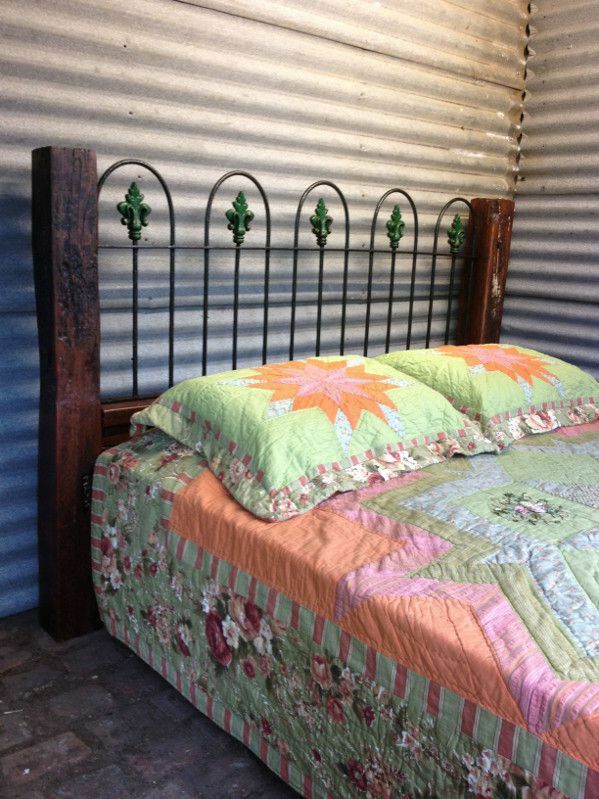 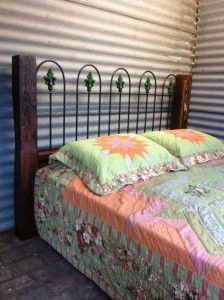 One-off handcrafted queen size bed using aged reclaimed redgum posts from the Pt Cook RAAF base, hardwood rails and vintage cast iron from a church in Geelong. 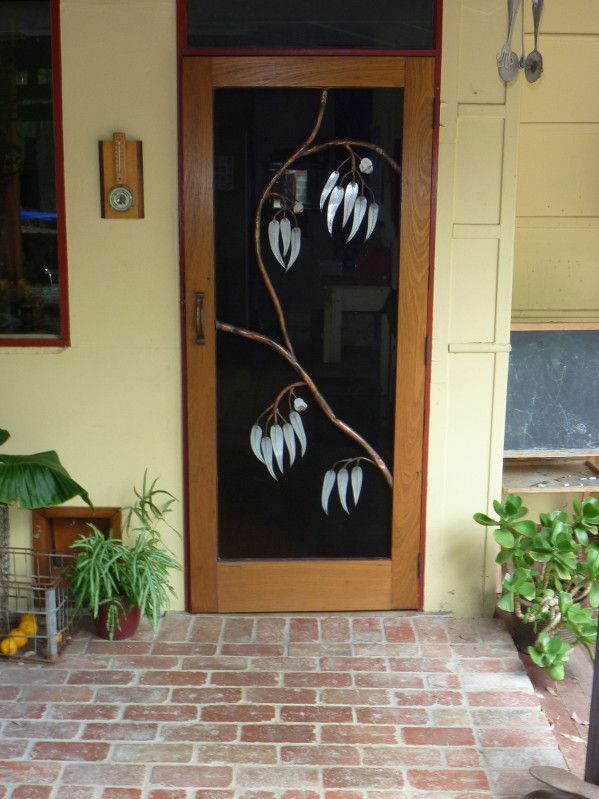 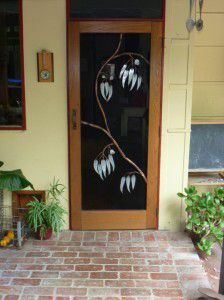 Handcrafted fly wire door with detailed gumleaf design including handcrafted copper handle. 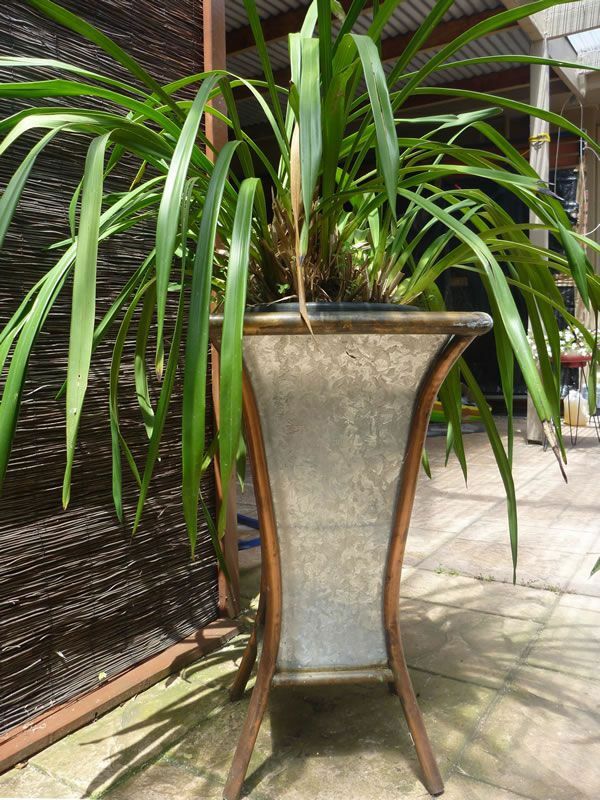 Plant pot hand-crafted using galvanised iron with copper trim.